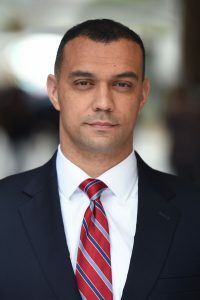 Philadelphia, PA (Law Firm Newswire) March 20, 2019 - Petrelli Previtera Schimmel, LLC is proud to announce that William Kirby has joined the firm as its newest attorney. Mr. Kirby concentrates his practice at Petrelli Previtera Schimmel in all matters of family law, including divorce, separation, child custody, support disputes, property division, and many others. He is licensed to practice law in Pennsylvania, New Jersey, Maryland, the District of Columbia, and before the U.S. District Court Eastern District of Pennsylvania. William is a member of the Family Law Sections within the American and Pennsylvania Bar Associations. He is also a member of the U.S. Court of Appeals for the Armed Forces and the U.S. Navy-Marine Corps Court of Criminal Appeals. He is a retired Major in the U. S. Marine Corps. Mr. Kirby earned his bachelor’s degree from the United States Naval Academy, where he was given the distinction as an Arleigh Burke Academic Scholar. He then received his law degree from Duke University School of Law. When not practicing law, William enjoys teaching group exercise classes, cooking, and spending time with his daughter. Petrelli Previtera Schimmel, LLC was established in 2017 when Previtera & Schimmel joined Petrelli Law, P.C. creating a larger law firm focused exclusively on family law. The firm’s experienced attorneys provide top-notch legal counsel along with advice and information clients need to make the best decisions for their future. From complex litigation to negotiated agreements, Petrelli Previtera Schimmel works tirelessly to get the best results for each client.